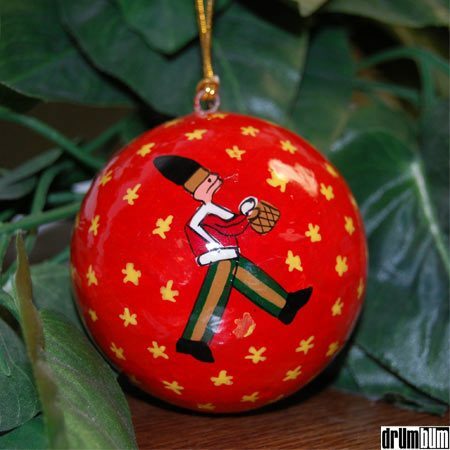 Drummer Christmas Ornament – Celebrate the festive holiday season with a beautiful Drummer Soldier Ornament. Drummers everywhere will absolutely adore adding a touch of drums to their Christmas tree decorations with this amazing handcrafted drum ornament. Made from paper mache’. Approx. 3″ x 3″. Awesome Christmas Ornaments at DRUM BUM!